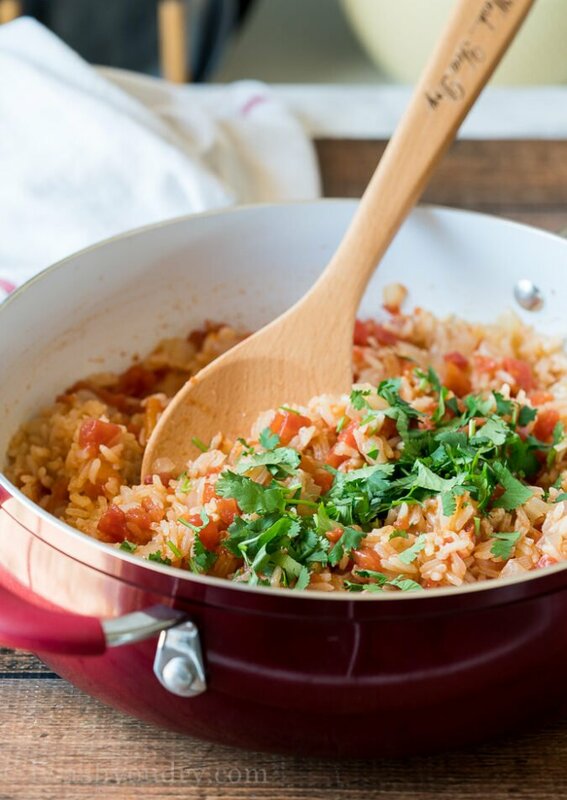 This Easy Mexican Rice Recipe is fragrant and fluffy and made in less than 20 minutes for the perfect Mexican side dish! It’s quickly become my husband’s hands-down favorite Mexican Rice ever. EVER. And… I’m going to have to agree with him. A few years back (before I decided to become a food blogger; aka- when I didn’t know much about cooking), I had family over for Christmas Eve dinner. It’s tradition in my house to have Mexican food for Christmas Eve, so I planned accordingly… which meant I called up the closest Mexican restaurant and ordered a giant size container or rice and beans. 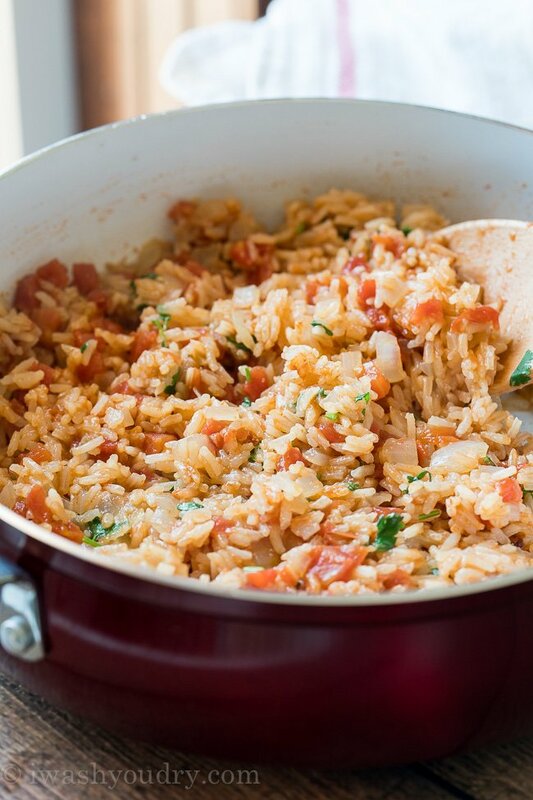 Since then, I have learned to master some of my favorite dishes and this Easy Mexican Rice is my latest conquest. The first thing you want to do is sauté your onion in a little olive oil until it’s tender. Toss in some ground cumin and garlic salt. Toast your rice before adding in the liquid to finish it cooking. This Mexican Rice is so easy to make, and so extremely flavorful with little hints of garlic and cumin in every bite. 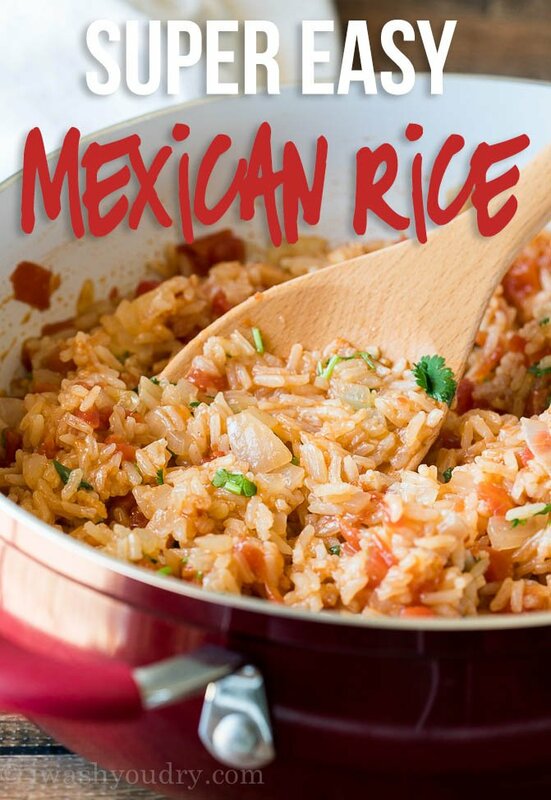 Over the years I have made this Easy Mexican Rice with some flavor variations, and each time I’m always amazed at how delicious it turns out. 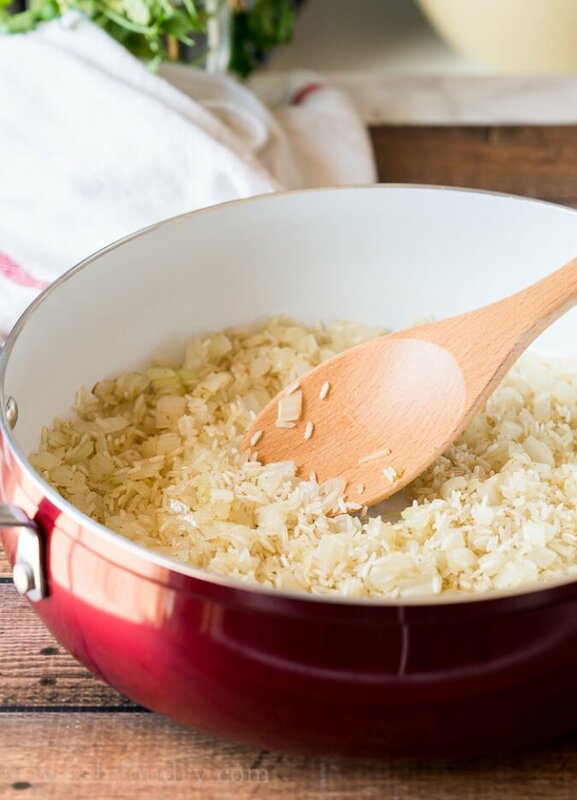 This rice pairs perfectly with my Sweet Pulled Pork Enchiladas, Taco Meat, and Enchilada Casserole! If you are out of garlic salt, try using garlic powder and salt combined. Or use fresh garlic in place of the powdered. If you don’t have the diced tomatoes with green chilies, use regular diced tomatoes and add a 4oz can of diced green chilies. Out of limes? No worries, it still tastes great without the lime juice added! Just before serving, add a couple tablespoons of freshly chopped cilantro for an added burst of flavor to this easy Mexican side dish! 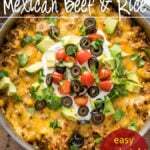 Delicious mexican style rice that will wow your tastebuds and the family. Heat the olive oil over medium-high heat in a large skillet (needs to have a fitting lid). Add the onion and sauté for 2-3 minutes until just tender. Add the rice and stir, letting the rice toast slightly until it becomes a light brown. While it’s toasting add the garlic salt and cumin and keep stirring. Add the can of Mexican diced tomatoes (including the juices), lime juice and the chicken broth, stir and bring mixture to a boil. Reduce heat to low, cover and let simmer for about 20 minutes. Fluff with fork, stir in freshly chopped cilantro and enjoy! If you can’t find the 14oz can of Mexican Diced Tomatoes, use a can of regular diced tomatoes and a 4oz can of diced green chilies. (use as much or as little of the chilies as you prefer). Tasty AF and gonna rotate it with my meal prep recipes. I am confused about where you have found a 14 oz can of Mexican diced tomatoes with green chilies and lime juice. The only type I have ever found at our stores where I am from is a 10 oz Rotel and it doesn’t have lime juice as an ingredient. What brand of Mexican diced tomatoes are you using that is 14 oz and has lime juice?? I guess I will have to use a 10 oz can of mild Rotel and some water since I am not sure where you are getting a 14 oz can?! Sorry you’re having trouble finding the larger can of diced tomatoes. I use a diced tomato that is seasoned with green chilies and lime, sold where the plain diced tomatoes are. Sometimes if I can’t find the kind with the lime added, I’ll just squeeze half a lime in with a can of diced tomatoes and green chiles. I just ask because it would be interesting to try what you use with lime in it. I’ve been making the recipe for almost a year now & its my husband’s favorite side dish. The original Rotel was a little spicy for me so I use the mild & add extra broth since it comes in a small can. I also often add a can of black beans (drained & rinsed) & a cup of frozen corn in the last few minutes of cooking the rice, it bulks up the recipe and makes me feel better about not preparing a vegetable side. 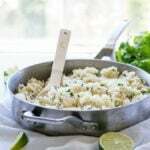 Thank you for this recipe, its been a great way to turn simple tacos, freezer tamales, basic quesadillas into a meal. Can this be made a day ahead and does it reheat well? Hi Mary! Yes, you can make this ahead of time. 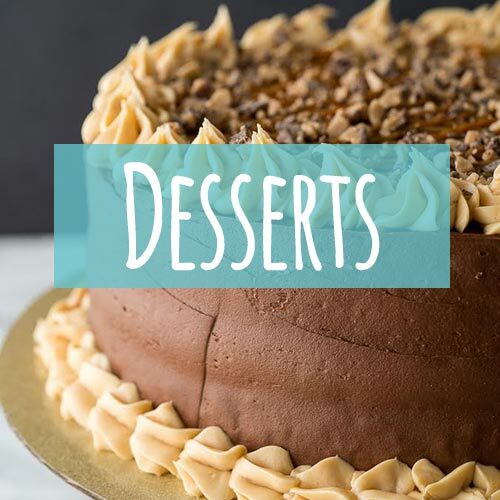 Store it in the fridge in an airtight container. Reheat in the microwave when ready to eat. We love this rice and make it all the time. Makes for great leftovers. 🙂 Enjoy! Made this tonight and the flavor was great! Was hoping my daughter would like it because she doesn’t like Mexican rice from the box. It was really spicy, which I didn’t mind, but I was the only one who ate it. Is all cumin really spicy? Found this recipe and made it the same day! 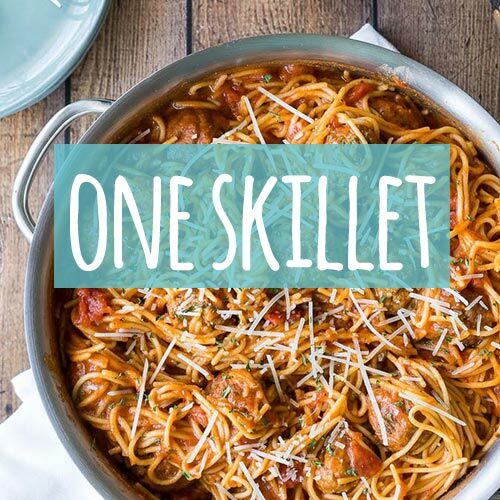 Easy, delicious and way less salt than the box type with 10 times the flavor. 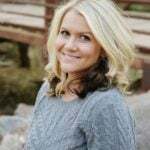 I found a baked chicken chimichanga recipe to make with it and they were a huge hit with both my gentleman and 2 kids (even my veggie hater)! Thank you for the awesome ideas. This looks INCREDIBLE. 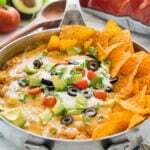 I have pinned to make on our next taco night! Thanks! I needed this right now for dinner tonight. Great timing and it looks delicious!! Awesome! Hope you enjoy it as much as we do! 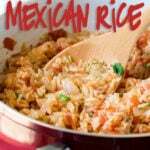 I love Mexican rice – what a great recipe ! Thanks Dorothy, isn’t it the best Mexican side dish?? If I need to triple the recipe for a large crowd do I triple all the ingredients?